Warmzone industrial pipe tracing systems provide comprehensive freeze protection, process temperature maintenance, drain temperature maintenance and long line heating to ensure optimum productivity, as well as prevent costly pipe and equipment damage. 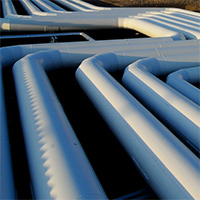 Industrial pipe tracing is essential for many manufacturing applications and processes. Specialized manufacturing processes require extensive planning, support, and a wide range of reliable products to fulfill those needs. Warmzone pipe tracing systems meet or exceed the strenuous industrial demands to efficiently maintain consistent, reliable operations. Offering top-quality products and pre-eminent customer service, Warmzone has earned its reputation as the premier supplier of radiant heat and heat trace solutions. Call a Warmzone radiant heat specialist today for a FREE quote or more information: 888-488-9276. 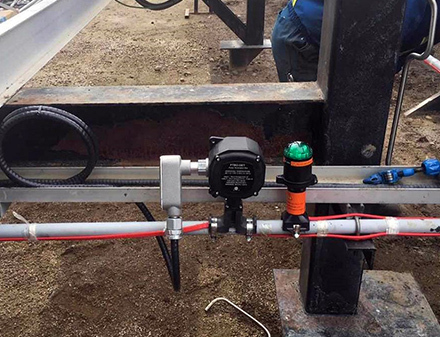 Pipe tracing systems provide pipe freeze protection through the use of heating cable and controls. Each system is specifically designed to meet the needs of your industrial application, from varying voltage inputs to needed wattage output. Our pipe freeze protection systems can be used with both metal and plastic piping and the self-regulating heat trace cable adjusts heat output in response to ambient temperatures. 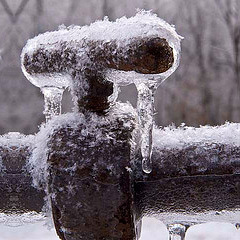 Pipe freeze protection can be installed in hazardous locations and a varying degree of industrial applications. Process temperature maintenance products are used for a wide range of specialized industrial manufacturing processes that require sophisticated temperature controls through the use of industrial heaters and heating cable products. Each process temperature maintenance installation requires specialized system design and implementation by a Warmzone technical support professional. 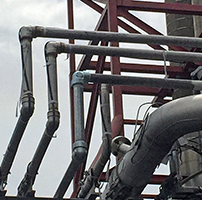 Varying systems can maintain a constant self-regulating temperature ranging from 150 degrees Fahrenheit to 450 degrees F.
Long line heat trace systems are designed specifically for long pipeline heating applications. The long line heating cables are used for a variety of pipeline applications ranging from pipe freeze protection to process temperature maintenance. These types of heating cables are the most durable and versatile of the industrial pipe tracing systems and are built to withstand and maintain temperatures despite extreme ranges in ambient temperatures. For more information about industrial pipe tracing or roof heat tracing solutions, call Warmzone today at 888.488.9276.